Enjoy the best inspirational, motivational, positive, funny and famous quotes by Alona Tal. Use words and picture quotations to push forward and inspire you keep going in life! I'm not a real blond Shocking. 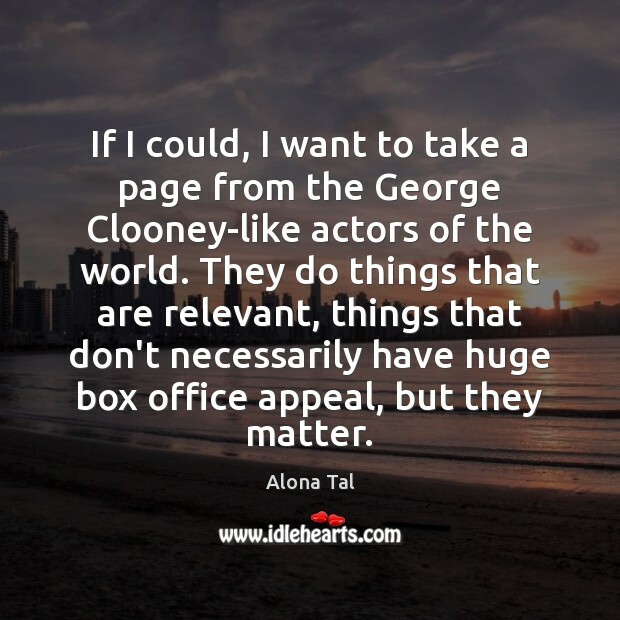 If I could, I want to take a page from the George Clooney-like actors of the world. They do things that are relevant, things that don't necessarily have huge box office appeal, but they matter. 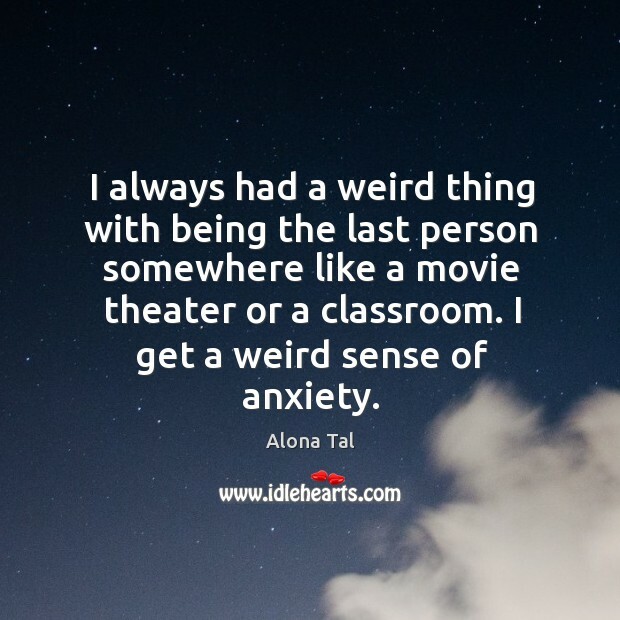 I always had a weird thing with being the last person somewhere like a movie theater or a classroom. I get a weird sense of anxiety. 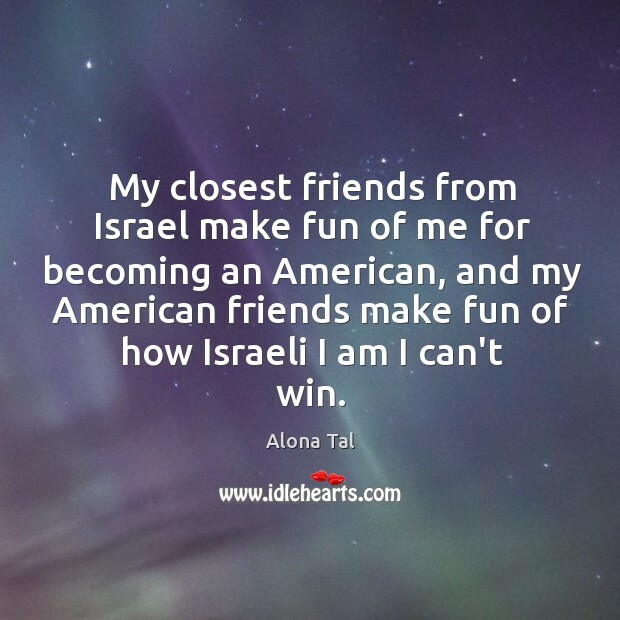 My closest friends from Israel make fun of me for becoming an American, and my American friends make fun of how Israeli I am I can't win.